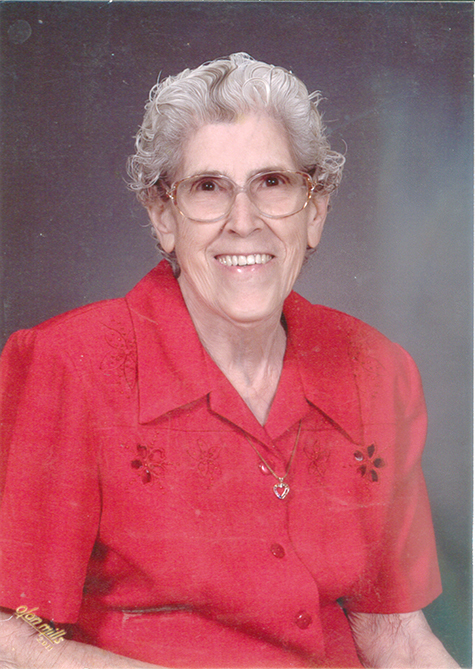 Bertha M. Reed, 86, of Warrensburg, Missouri, formerly of Castana, Iowa, died Saturday, March 16, 2019 at Western Missouri Medical Center in Warrensburg, MO. A visitation will be 10:00 A.M. - 11:00 A.M. Saturday, March 23, 2019 at the Castana Community Church in Castana, Iowa. Graveside services will be 11:30 A.M. Saturday, March 23, 2019 at the Kennebec Cemetery, rural Castana, Iowa with Pastor Linda Boggs officiating. Following the graveside service, a luncheon will be held in the church basement. Arrangements are under the direction of Rush Family Care Service in Onawa, Iowa. Bertha Maxcine Lalumendre was born Thursday, December 8, 1932 in rural Sioux City, Iowa, the daughter of William and Blanche (Hair) Lalumendre. She grew up in rural Sergeant Bluff, Iowa and graduated from Sergeant Bluff High School as Valedictorian of the class of 1951. Bertha and Richard “Hoot” Reed were united in marriage on February 20, 1952 in Ticonic, Iowa by Reverend Everett Epperson. The couple farmed and raised livestock near Castana before moving to Warrensburg in 1994. She enjoyed raising her children on the family farm where they learned lots of life lessons. She also enjoyed sewing, gardening, and raising chickens. Bertha worked in housekeeping at the hospital in Onawa, Iowa. She later cleaned private homes in Warrensburg. Bertha was a member of the Ticonic United Methodist Church and attended First United Methodist Church in Warrensburg, where she was actively involved, even going on several mission trips. She was also a member of the American Legion Auxiliary in Warrensburg, MO. Survivors include three daughters, Karen (Dale) Harwood of Mesa, AZ, Dorothy (Michael) Roach of Springhill, KS, and Nancy Reed of Sioux City, Iowa; one son, Eugene Reed of Warrensburg, MO; ten grandchildren; numerous great-grandchildren; a sister, Doris Nelson of San Antonio, TX; three sisters-in-law, Bonnie Lalumendre of Sergeant Bluff, IA, Dorothy Reed of Castana, IA, and Louise Barker of Castana, IA; and several nieces, nephews, cousins, other relatives, and friends. Bertha was preceded in death by her parents, William and Blanche (Hair) Lalumendre; her husband, Richard “Hoot” Reed; son, Brian Reed; two daughters-in-law, Debra Reed and Clara Reed; grandson, Jeremy Reed; two sisters, Mary (Richard) Stultz, Eva Craig; one brother, Don Lalumendre; two brothers-in-law, Leon Nelson and Paul Reed; and several other relatives. Memorials in Bertha’s memory may be directed to the First United Methodist Church 141 E. Gay Street, Warrensburg, Missouri 64093.